My most natural reaction to the simply-put question “Why peace?” is puzzlement. My natural response to the question would be “Why peace? Why not?” How could peace possibly be a bad thing? Then I realize how aloof and self-righteous simple questions and answers can sometimes seem. It is best, as is my normal fashion, to treat even seemingly simple questions as serious inquiries into fundamental freedom throughout the United States and the world. I understand we must be able to demonstrate why peace is beneficial to individuals, nations, and civilizations. So, let’s start over: Why peace? I think the clearest and simplest answer is “Why not; we have tried war, over and over again, we never win, and the problems we war against only get worse. As the old ’60s song goes: all we are saying is, give peace a chance.” Not only that, but history proves that when there is no war, people prosper. There have been economic booms, scientific advancements, and cultural progress after every conflict American has fought, beginning with our War of Independence. History teaches us that the key elements to prosperity are freedom and peace. You don’t go to war with people you like, or with people you know, or with people with whom you are trading and doing business. Even after our fledgling republic was nearly torn asunder in a civil war that literally pitted brother against brother and nearly destroyed the South, our reunited nation and all its people advanced and prospered after peace was restored. After both the world wars of the 20th century, there were advances in science, technology, and culture that only ended when the nation again blundered or was bamboozled into war. The post–War War I economic boom saw the increased use of machines and factories for mass production, which made goods faster and cheaper to produce, thus lowering prices so the average American could buy and enjoy them. The Roaring Twenties roared with more than the music and dancing in the burgeoning commercial radio and movie industry. American homes roared with the sound of newfangled, labor-saving devices like electric vacuum cleaners, toasters, washing machines, and refrigerators. Americans not only had more freedom to enjoy the fruits of their labor, but they were also literally set free to travel when the automobile became affordable and part of every American household. Read the rest via Why Peace? Why Not! by Lee Wrights — Antiwar.com. November 28, 2014. Naperville, IL (ONN) It’s been an exciting election year for the Libertarian Party of Illinois. They gained national headlines when armed GOP thugs went to their homes, forcing them to sign affidavits saying they weren’t Libertarians. The Party then found itself in a three-way race with the two establishment Parties. And even though Libertarian candidates didn’t hit the all-important 5 percent threshold to qualify as a major party, they doubled their membership, voter base and vote totals. ‘Despite falling just short of our 5% goal, 2014 was a historic year for Illinois Libertarians,’ an Illinois Libertarian Party post-Election announcement explained, ‘We shattered our previous election records even as voter turnout fell to all-time lows.’ Compared to Election totals in Illinois four years ago, when a larger number of citizens voted than this year, the LP’s candidate for Illinois Lt. Governor increased his vote total by 278%. The Libertarian candidate for Illinois Treasurer increased by 121%. And the LP candidates for Attorney General, US Senate and Illinois Comptroller increased their vote totals over 2012 by 87%, 58% and 45% respectively. Read more via IL Libertarian Party looks to build on recent Notoriety. Julie Fox, Libertarian Candidate for Illinois Comptroller, announced today the formal campaign endorsement of Joe Walsh, former U.S. Congressman from the Illinois 8th Congressional District. Ms. Fox, a Certified Public Accountant from Dundee, IL was thrilled with the news. 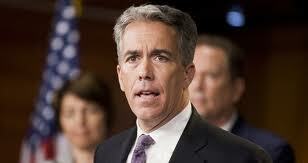 Read more via Former Congressman Joe Walsh Endorses Julie Fox For Comptroller – Julie Fox For Illinois Comptroller 2014.